WebSite X5 is an all-in-one solution packed with tools to create and publish professional websites, online shops and blogs in just 5 easy steps. 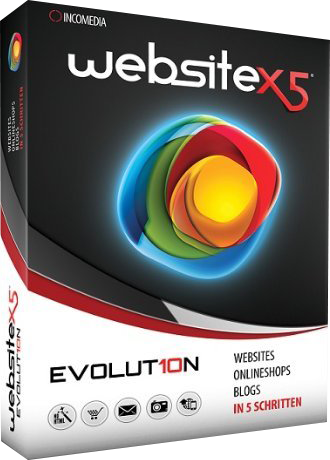 WebSite X5 is designed to work like a wizard, visually guiding users through the steps to create and publish a complete, functional and professional website. No programming skills required! WebSite X5 templates design the page - all users need to do is drag and drop objects to create pages. With a selection of website objects to choose from including videos with support for YouTube, image galleries, integrated e-commerce with partners such as PayPal, podcast and RSS content, plus video and Shockwave Flash animations - creating a professional website could not be easier.